Hey all! 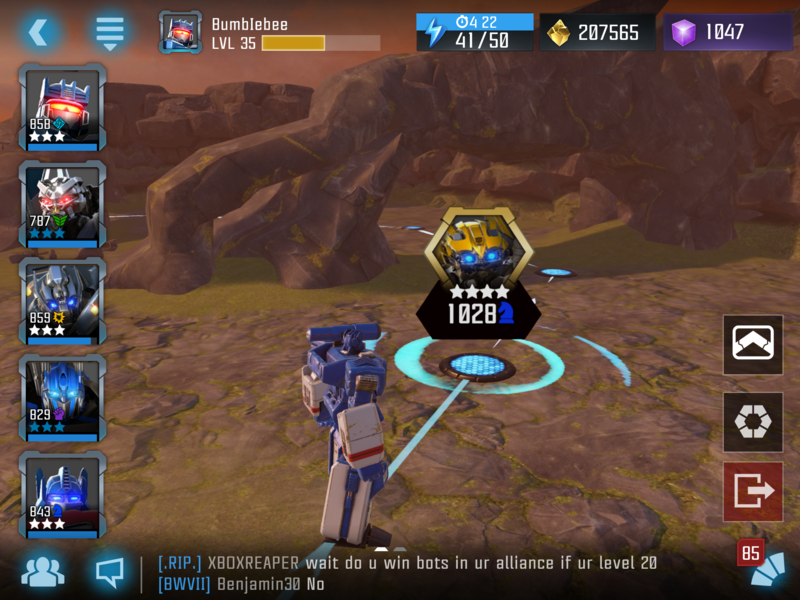 So, I was playing one of the chapters in the Spotlight Missions only to encounter this 4* Bumblebee. If my memory serves me right, I don't believe he's in any of the crystals. I was hoping we'd get some sort of Arena in the near future so that I might be able to get him for myself, but my question is if we'll/when see him debut? Bumblebee is all I want ._. He should be in either this upcoming arena or the next one. He hasn't been released as of yet along with sideswipe. This sounds ethical enough. Thanks! He won't be available anytime soon, the next feature bot has already been announced and that bot is gonna be a month long feature bot, ironhide is gonna be next weeks arena again right before the major update that hits on the 5th next week, maybe we'll see bee for November or he might be a Xmas special. anyway kabam needs to buff bee.. I agree with your first point!